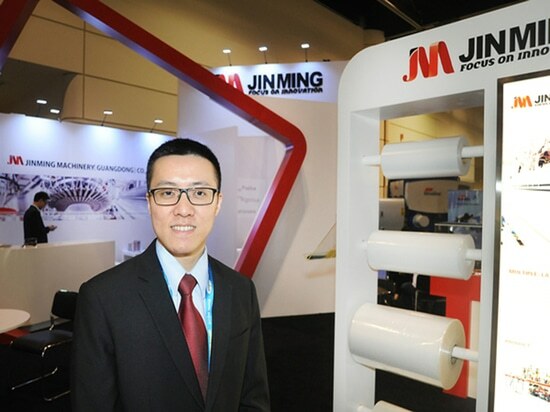 NPE 2015: Jinming’s Millennial Leader Pushes for International Growth - China - Jinming Machinery (Guangdong) Co., Ltd. Stand: Jinming Machinery (Guangdong) Co., Ltd. The 29-year-old new general manager of Jinming Machinery(Guangdong) Co. Ltd. (W1591) combines a global vision and mindset, partly from his Western education, with a sense of responsibility as strong as his father, founder and chairman of the 28-year-old company. Ma Jiazhen, who received his high school and college education in mechanical engineering in Australia, decided to return to China and join Jinming. He worked as an assistant director -- first in R&D and then in production -- before being appointed general manager at the beginning of this year. The Shantou-based company announced last week a 30.9 percent hike in sales for fiscal 2014 to 361.5 million yuan ($58.2 million) and a 25.3 percent jump of operating profit to 60.3 million yuan ($9.7 million), benefiting from growing demand from the medical, agricultural and food packaging industries. Having big name customers like Bemis Co. Inc. and Sealed Air, the company lists overseas markets as one of the main growth areas in its 2015 forecast. 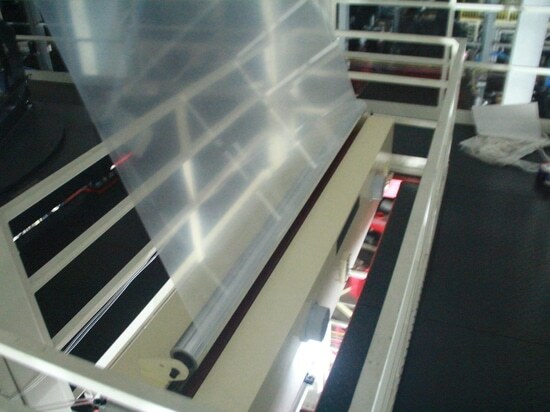 Q: Tell me about Jinming's best and latest products in plastic film production equipment. 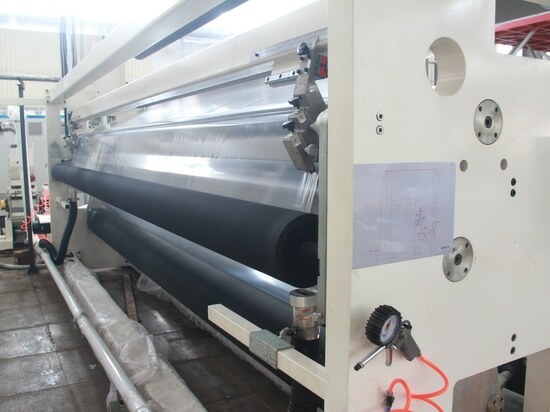 Ma: Jinming's agricultural blown film line can reach a maximum width of 24 meters. 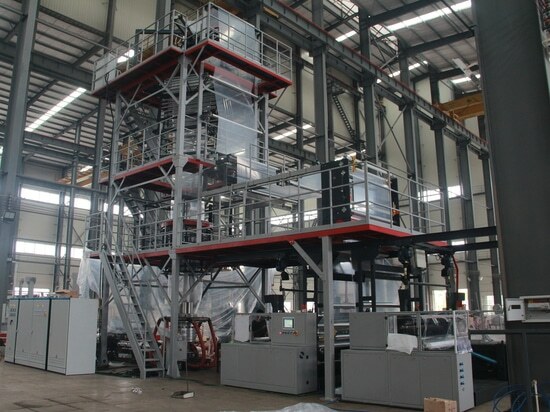 Our 5.5-meter four-layer coextruded cast film line stands as the widest of its kind in China. When it comes to production efficiency, our Superex M5B-1700Q-S line can produce 1.5-meter (layflat) film up to 670 kilograms per hour. We are continuing to innovate in 2015, offering our proprietary 11-layer high barrier cast film technology and a new generation 7-layer co-extruded water quench blown technology. 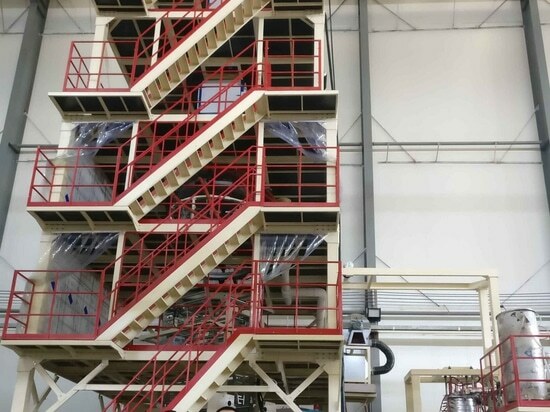 We will also introduce the polyvinylidene chloride (PVDC) processing technology, licensed from Dow Chemical Co.; and the five-layer coextrusion heavy duty blown film line, based on cooperation with ExxonMobil. We will display these products at the upcoming open house at Jinming's technology center [the first of its kind in the Asia Pacific] in May. Q: How is Jinming doing in the Americas? Ma: The Americas has been a main target market for Jinming. We successfully entered the North American market, such as the U.S. and Mexico, in the beginning of the century. We now have customers and agents in Brazil and Argentina. We've also been working with Davis Standard in the U.S. to better serve the local market in areas including service. Jinming's equipment stands out with its value price ratio. Our S blown film line compares favorably to European and American brands in terms of performance, but with more competitive pricing. Our C line meets the needs for general purpose film with quick returns on investment. We have sold to big name customers like Bemis and Sealed Air and see that as a recognition of our products by the market here. Q: Any plans for overseas investment? Acquisitions? Ma: Jinming has been actively seeking overseas acquisition and expansion and has talked and worked with a good number of global companies up and down the supply chain. We hope to find the right acquisition target and/or a joint venture partner in the next few years. As a public company, we can't share progressive details at every step, but we are working on it. Q: How did you prepare yourself to lead the company? Ma: I studied machinery and design in Australia. Jinming had an urgent need for talent, technology and market development as it was going through a high-speed growth period. After graduation, I was invited by my father to join Jinming. As a new employee, I worked in R&D and production management positions. These hands-on work experiences helped me understand the company and industry and immerse myself in the corporate culture. I took the general manager role at the beginning of this year. Q: How did you envision Jinming's future? Ma: I and my team aim to make Jinming a more highly-efficient, internationalized and respected company. In addition to our focus on operation performance and sales growth, social responsibility also has been one of our goals. We have set up scholarship programs with a number of universities in China and also provide internship to technical schools and students from low-income families. Q: Jinming has made good progress in the international arena. What do you plan to do to take it further? Ma: As China transitions from Made-in-China to Created-in-China, Jinming has been strengthening itself with global technology and talent. Our goal is to strengthen our "soft power" and competitiveness by solid investment in and dedication to R&D efforts. That's how we can win the hearts of customers and earn respect from industry peers. 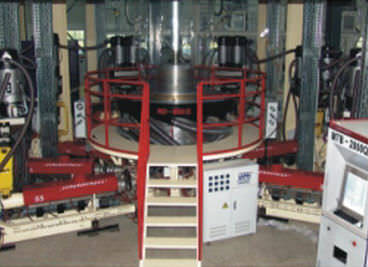 Part of it is to build a complete talent system from resin to equipment to products. We have experts from Germany, the U.S. and South Korea on our staff in marketing, R&D and management. We continuously try to improve our product performance and brand value. We invest 3 percent of our sales in R&D. Q: Specifically on its partnership with global companies? Ma: We have many partnerships with companies like ExxonMobil, Dow Chemical, BASF, Borouge and Mitsui Chemicals. The latest was a strategic cooperation formed with Siemens last month, intended to improve our equipment performance and automated operations in the big data era of Industry 4.0. We hope to leverage the relationship base and broaden our partnerships in more fields, such as technical, product solutions, technical consulting, and joint marketing and sales, all with the goal to provide more value to our customers. That's why we built the Jinming Technology Center. First phase of the center was launched last April. The center is the only world-scale experience-based experiment center in Asia Pacific, aiming to integrate the resources in the film industry and help customers optimize film equipment and production techniques. Q: A lot of "second generation" in China are unwilling or incapable of taking over the family business, especially in manufacturing. What do you have that they don't? Ma: A fundamental element of the Jinming culture is responsibility, including responsibility for the society, the company, individuals and employees. As a second-generation "Jinminger", my sense of responsibility has been influenced by the first generation. I work to make Jinming's vision become true. I believe this sense of responsibility will pass on to further generations as Jinming continues to develop.